"Through the lens, I learn more about myself and the world around me. From the fragile beauty of a fleeting moment, to the destructive capabilities of man and nature, my camera is a vessel of self expression. Though this journey began as a personal one, I’ve had the honor of sharing my images with a worldwide audience. 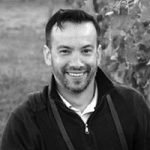 Recent credits include the Associated Press, USA Today, National Geographic Online, The New Yorker, and Wall Street Journal. While I’m truly proud of these accomplishments, perhaps my greatest joy comes from teaching others how to control their camera and fulfill their creative vision." Months ago I shot a head to head comparison with my OMD E-M10 and a Canon 6D. 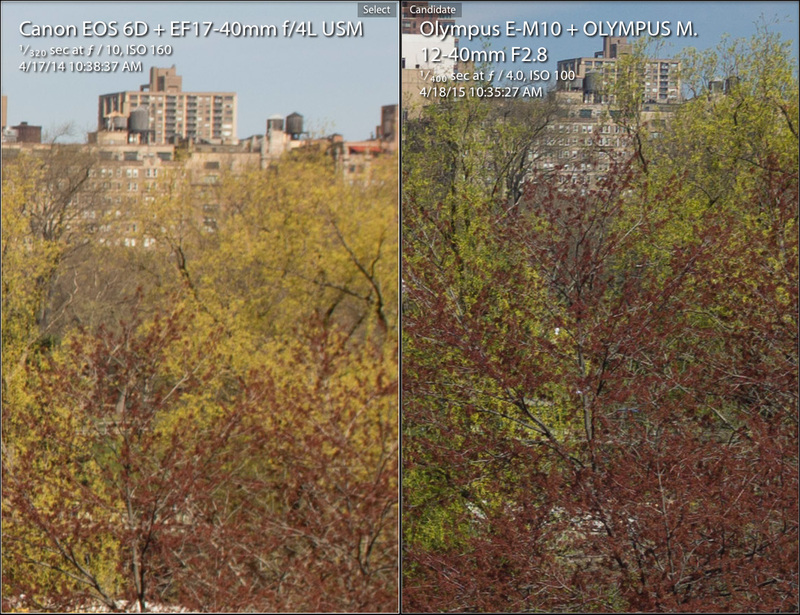 In that test, the 6D image was clearly sharper, but the lens used on the E-M10 was not necessarily known for its quality (17mm f2.8). 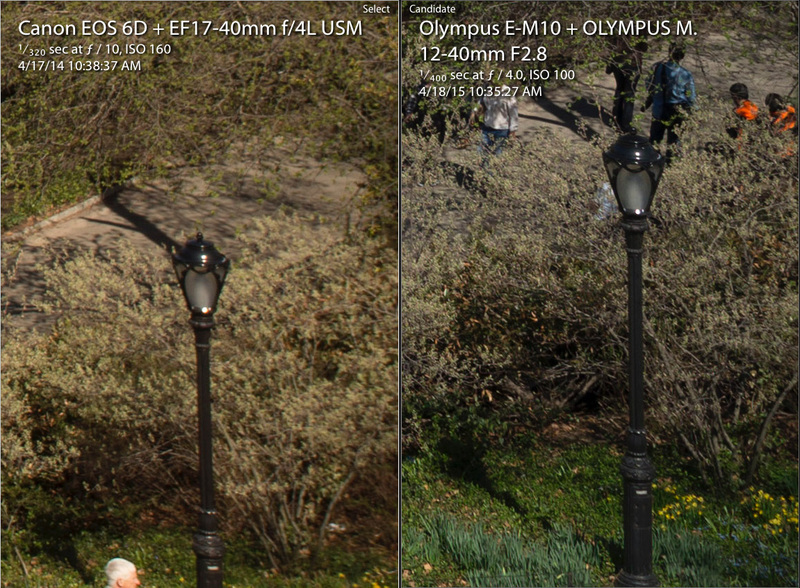 Many readers on the 43rumors site mentioned the need to shoot it again, but with a better lens. Fast forward to a few months later, and the Olympus 12-40mm f2.8 is now my go-to lens for the mirrorless system. 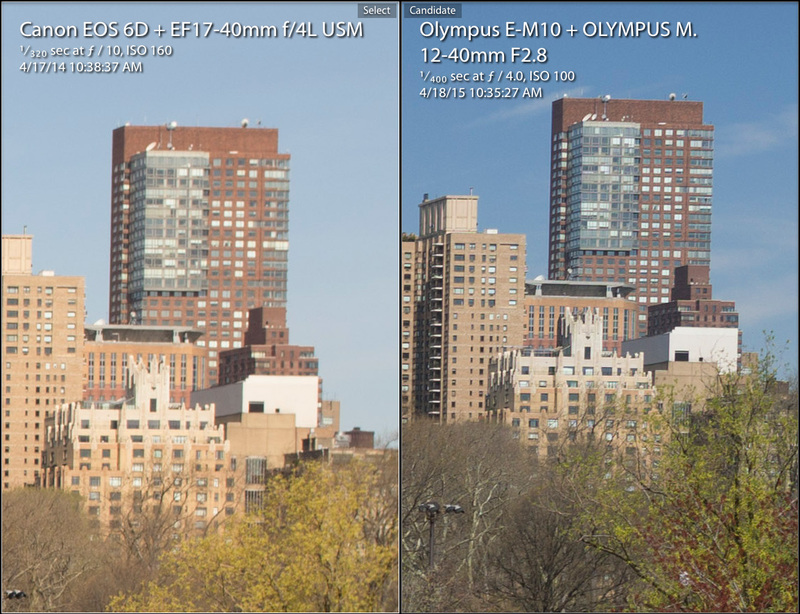 The optical quality of the 12-40 is no secret as it’s one of the highest rated options in the micro four-thirds line. 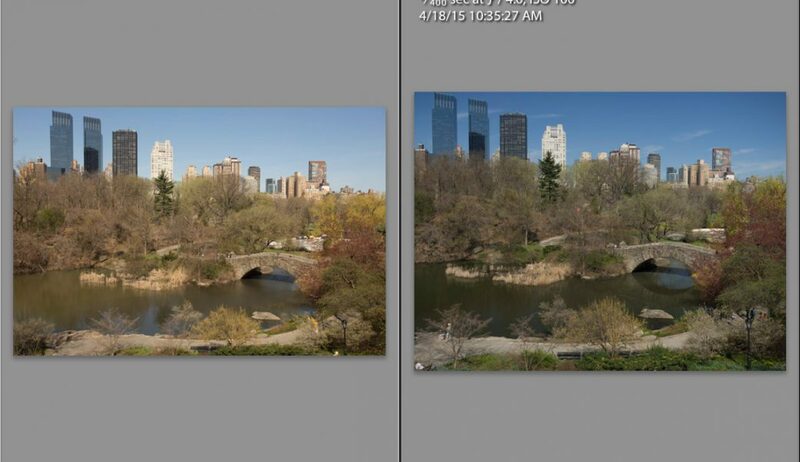 What a difference a lens makes, as this time, the results were vastly different. Before digging into the close up comparisons, I thought it would be helpful to show the full scene for context. *I did have a polarizer on the Olympus for this shot. While it does change the color in the sky, and look of the water, it does not benefit the overall sharpness. As such, I don’t believe it skews the findings in an unfair way. It should be noted that this was not a scientific test as the camera settings were not precisely the same, nor was it done in a studio. They were however, close enough to make it a fair real world comparison. Both were shot handheld with a fast enough shutter to prevent camera shake. Ironically enough, they were taken one year apart, almost to the same day and time. 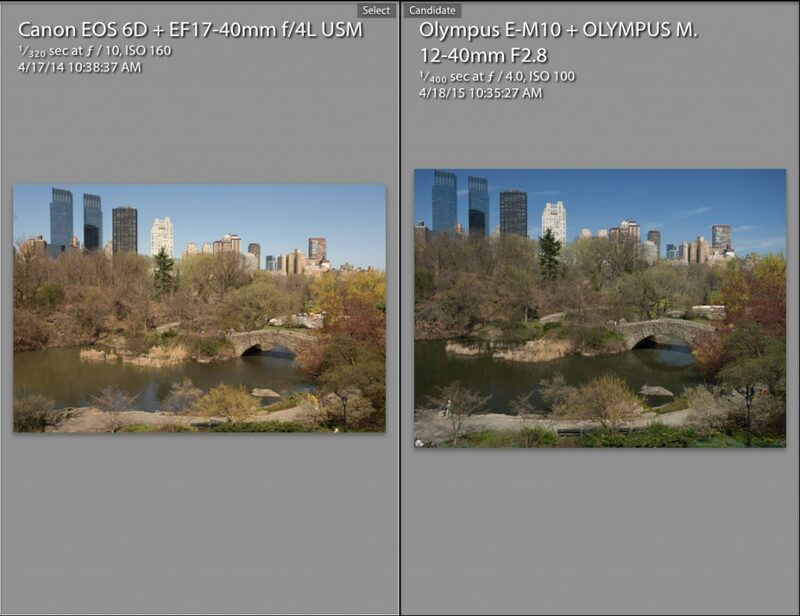 Both images were captured as RAW files with no noise reduction or sharpening applied. 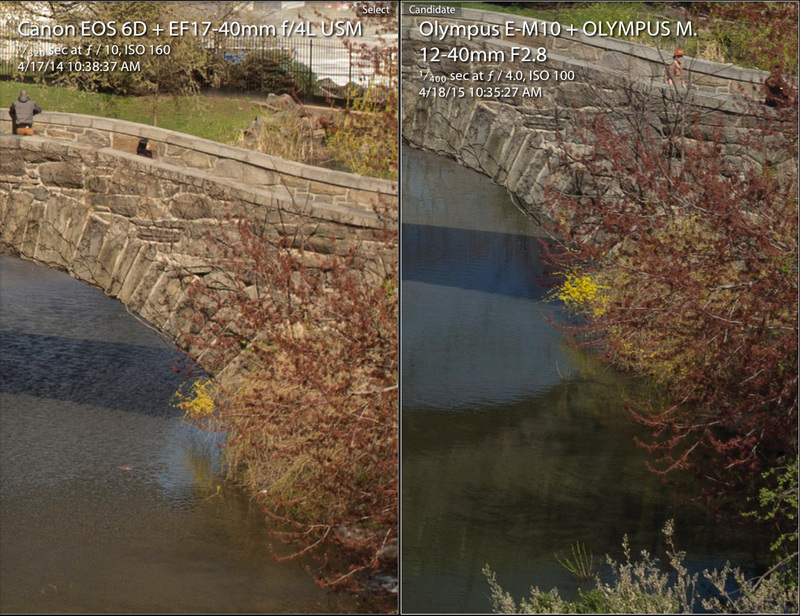 These were loaded straight into Lightroom CC, and compared with the XY comparison tool using the 1:1 option. These are the screenshots from my Mac. From there, I looked at the clarity of the foliage which was blotchy at best on the 6D. Compared to the EM10, they look terrible. Wind was not the issue here, nor was depth of field. In fact, the 6D was set to f10 which is the sweet spot for the 17-40mm with little diffraction. 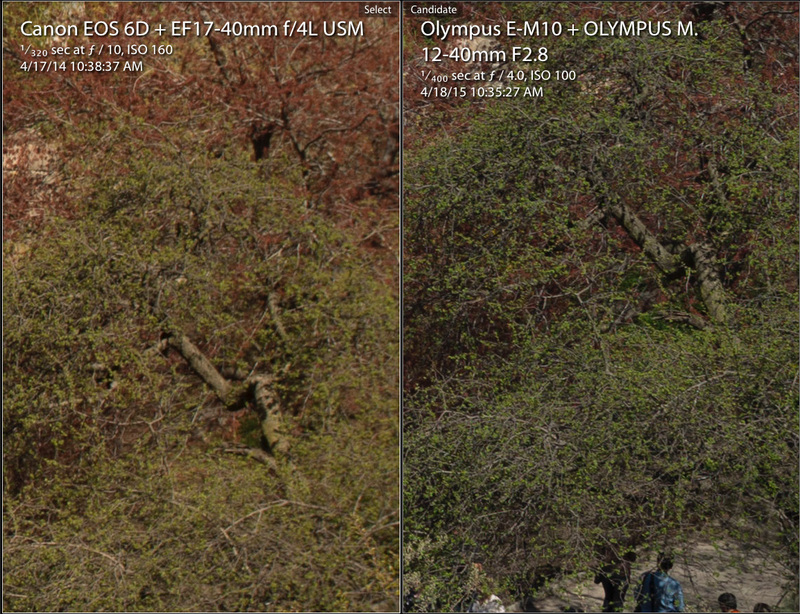 Meanwhile the OMD E-M10 was at f4 and considering the DOF equivalent, this means the f4 provided the equivalent depth of field as f8 on a full frame camera. At this point I started asking myself, how can this be possible!? Based on everything I’ve read about sensors, it seemed inconceivable that an entry level mirrorless could out-punch a full frame DSLR. Yet, the results clearly speak volumes. I then looked at the center of the frame, and this is where the images were largely similar. This proves that the technique used to capture the Canon shot was not flawed by technique, but rather optics. It leads me to believe the issue is due to the limitations of the lens towards the outside of the frame. This would be more understandable for a kit lens, but it’s an “L” series designed by Canon to meet the needs of professionals. In fairness, it has served me very well as my go-to for landscape shots all over the world in a variety of conditions. Moving forward however, I see its role being greatly diminished. This research came just in time as I prepare for an expedition around Iceland. I already love the functions and usability of the OMD E-M10, but wanted to make absolutely sure it could give me terrific output I need for professional use including stock, magazines, and large prints. This lens is a game changer, and I won’t hesitate to use the Olympus over the Canon for these once-in-a-lifetime landscapes. I welcome your insight into these surprising results. If you’d like to see the actual RAW files, you can download them here.